Plugs and compressed air cylinders. 130mm. Pliers to extract the object that caused the puncture. Cleaning tool. To make the hole match the plug. 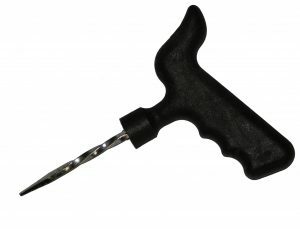 Insertion tool. To insert the repair plug. 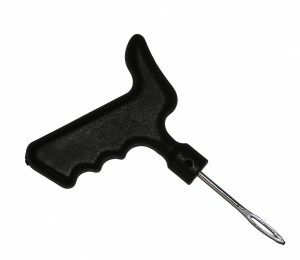 Cleaning tool. To make the hole match the repair plug. Repair plugs. To repair the puncture by preventing pressure loss. Connection pipes to adapt CO2 16grs cylinders to the tire. Kit bag. A practical bag for keeping the whole kit.